Every year, like clockwork, customers’ demands and expectations during the holiday season spike up. Your business is expected to make more deliveries or provide more services in less time, always according to schedule. This requires optimized planning and managing – from the reception of the order to package drop off. 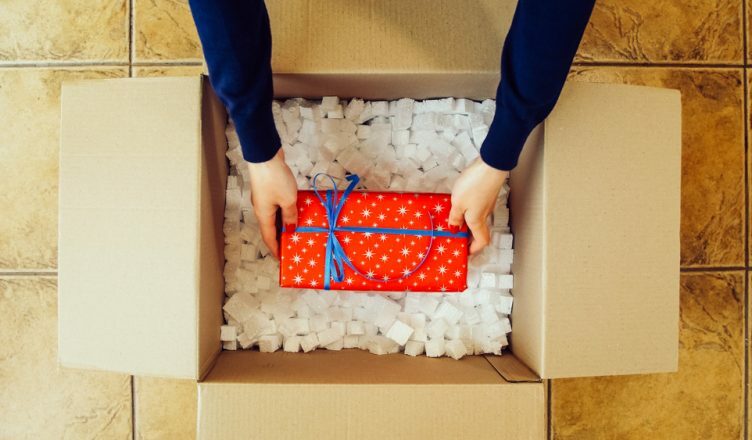 Considering the importance of customer satisfaction during this time of a year, issues like visible packaging damage and delivery delays can’t be allowed. So, with all the holiday hustle and bustle, how does one accomplish that? How can you maintain the order and timeliness of your deliveries while ensuring a high level of customer satisfaction? Well, this is where a road trip planner can help. Let’s find out how. Considering the mountains of data to be dealt with during the holidays, running operations without the help of technology simply won’t do. Imagine having to deliver hundreds of packages in one day – how would you plan on doing that with only a handful of drivers? Consider using an advanced technology solution like a route planner. The software lets you create, optimize and assign routes with ease. All you need to do is upload the list of customer addresses into the driving route planner and the software will provide you with a well-optimized route in less than 30 seconds. 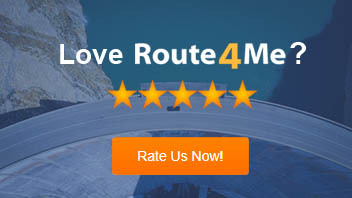 The routes are guaranteed to be 100% accurate and optimized for traffic, bad weather and areas under construction. Your drivers will never miss a single deadline, and they’ll be able to make more stops per day. So, if you’re still planning routes by hand, it’s time to upgrade. There are several reasons why your drivers might get lost: unfamiliarity with the area, being re-routed due to construction or lacking GPS guidance due to poor reception. For instance, GPS devices are prone to malfunctioning in areas surrounded by high-rise buildings. If your drivers are passing through the city center, there’s a possibility that they’ll be sidetracked. Thankfully, a delivery app effectively solves the issue. Your drivers will be equipped with scheduling software installed directly on their phones, so they’ll always know where they’re going. Here’s the best part: even if your drivers don’t have internet access, their travel log will allow them to follow the pre-planned route on their phone. With your drivers consistently following optimized routes, you won’t need to worry about them roaming around aimlessly and burning through tons of fuel. As reported by the FBI, industry experts estimate that cargo thefts amount to over $30 billion in annual losses. It’s likely that this is a conservative estimate since some companies don’t report cargo crimes in order to avoid bad publicity, damage to reputation and public embarrassment. Fleet Owner reminds business owners to perform a checklist before starting the season off. It’s crucial to assess the cargo’s risk situation, develop internal security protocols, consider incorporating technology into operations and prompt drivers to be especially mindful of their actions in order to avoid attention from thieves. These are excellent tips that you can use when sending out your fleets this holiday season. Add a road trip planner that comes with vehicle tracking, and you’ll be maximizing loss prevention. In the case of theft, the tracking app would immediately tell you where the vehicle is going, allowing you to present police with data leading them right to it. A GPS tracker also helps you decrease the possibility of a road mishap. For example, if a driver is speeding, you would come to know immediately, and you can inform them to rectify their conduct in order to avoid an accident. This saves you valuable funds that might have gone to medical, vehicle repair, legal expenses, etc. When delivering to a huge organization or establishment (such as the Mall of America), finding the proper drop-off point on time can be challenging. Of course, the more your drivers circle around aimlessly, the more fuel is wasted. A trip planner provides a solution by telling your drivers exactly where to drop off their goods. With only a few clicks, you can modify a route and mark which entrance your driver needs to go to when they reach their destination. No longer will they be circling the parking lot; their deliveries will be made on time so your customers can be kept satisfied. So, how do you keep your business running smoothly through the rush of the holiday season? Do you use a road trip planner? Tell us in the comments below. Also, here are three quick questions to recap on how a road trip planner can help you avoid theft, damage, and expenses this holiday season. How does a GPS tracking app protect vehicles from theft? How does a road trip planner prevent your drivers from getting lost? How long does it take for a scheduling app to plan an optimized route?